Regional franchisors within the U.S. can sign up a new area developer in a designated territory with this customizable Franchise Area Development Agreement. The area developer is an independent contractor, whose main responsibility is to establish franchises on behalf of the master franchisor within the assigned territory. 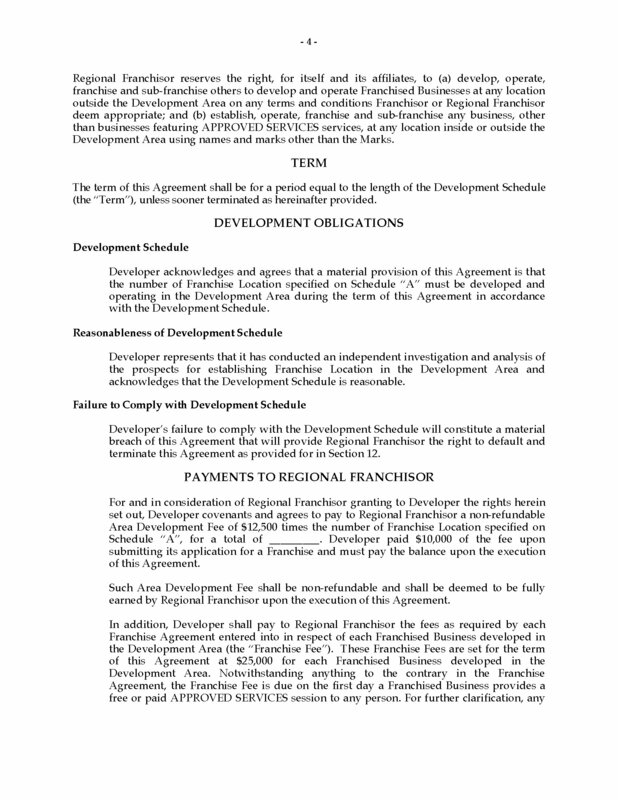 The regional franchisor grants the area developer a license to use the master franchisor's systems and marks within the development area for the purpose of developing new franchises. 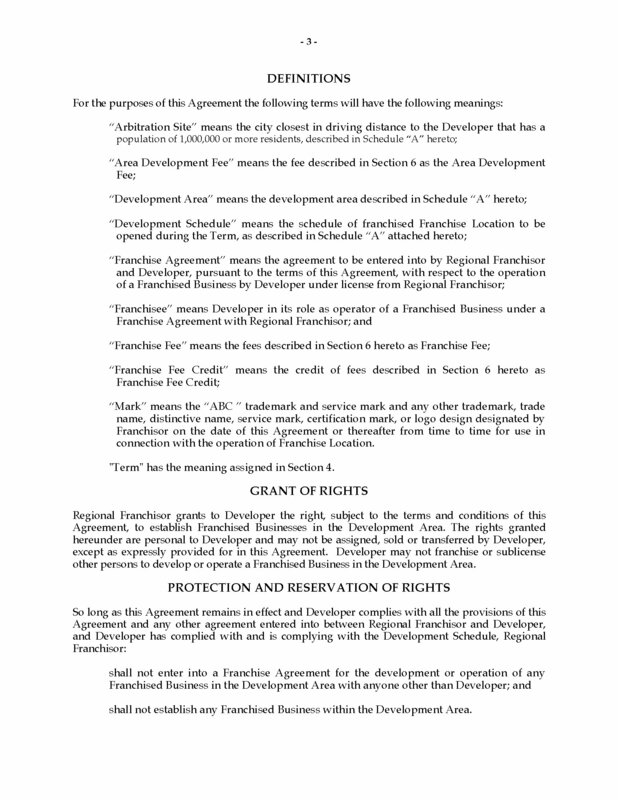 Payment of a non-refundable area development fee is required, based on the number of franchise locations. 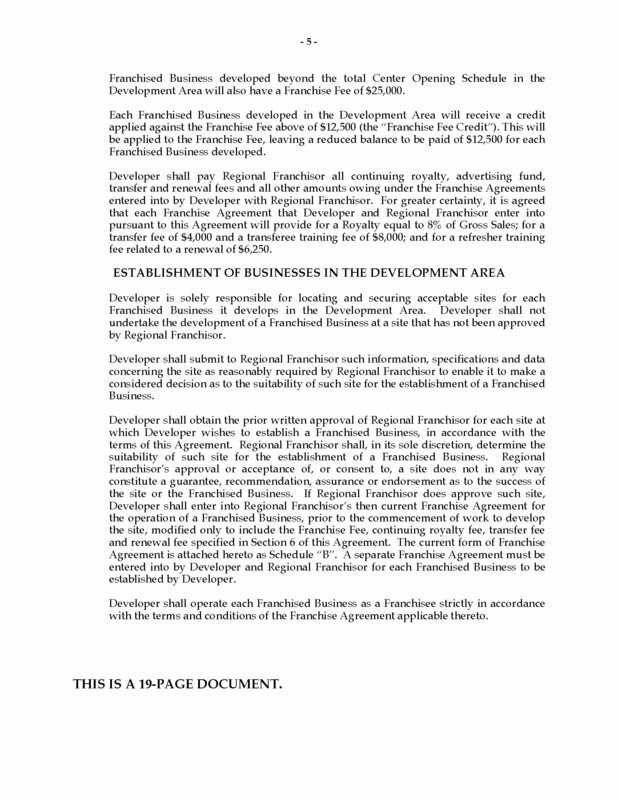 The area developer must enter into a franchise agreement for each franchised business established within the development area. The developer is responsible for locating and securing acceptable sites for each business. The area developer agrees not to compete with the business of the master franchisor during the term of the Agreement and for two years afterward. The regional franchisor is granted a right of first refusal if the area developer wishes to sell all or part of its assets and business. 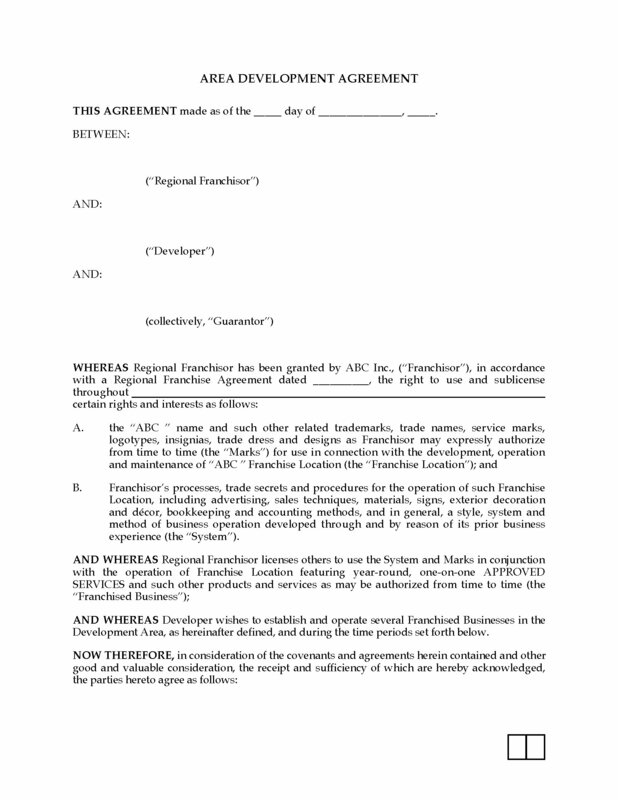 Download the USA Franchise Area Development Agreement immediately after purchase.